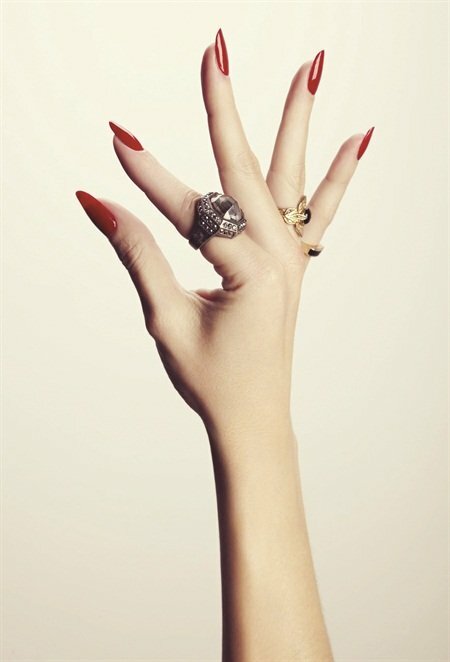 Nails: The Story of the Modern Manicure is a vibrantly illustrated and impeccably researched history of the manicure, beginning with its 19th-century origins and tracing the trend all the way to its massive popularity today. New from Prestel, Nails: The Story of the Modern Manicure is a vibrantly illustrated and impeccably researched history of the manicure, beginning with its 19th-century origins and tracing the trend all the way to its massive popularity today. 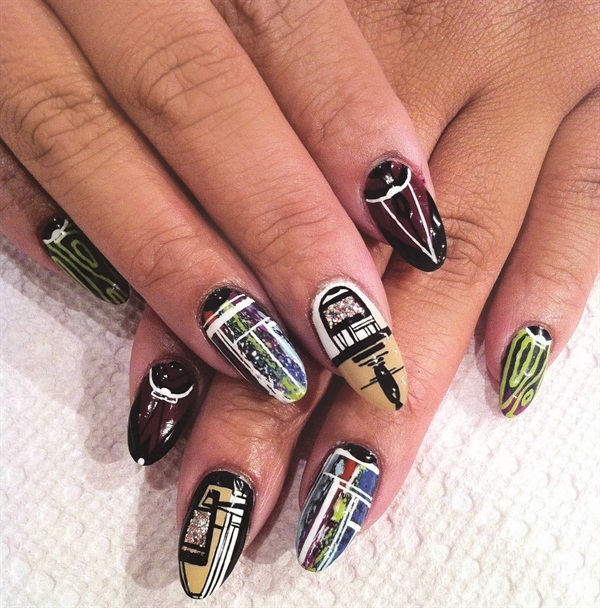 Author Suzanne E. Shapiro presents some of the most creative nail art from around the world. NAILS wanted to know more about the author and what she uncovered. What, briefly, is your background? Shapiro: I earned a graduate degree in Costume Studies at New York University and have been working at the Costume Institute at the Metropolitan Museum of Art for the last five years. I’m probably best described as a fashion historian. 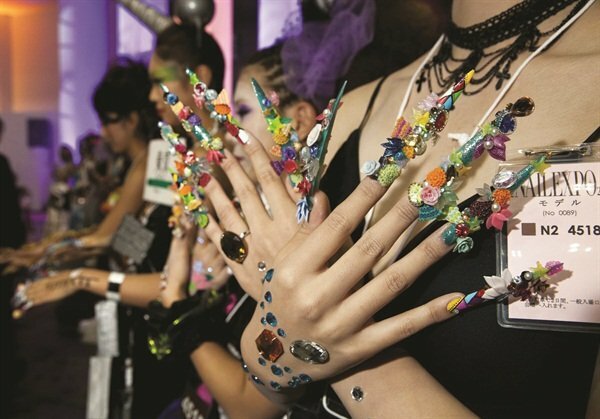 What sparked your fascination with nails? Shapiro: When I moved to Brooklyn 10 years ago, I was struck by the sheer number of nail salons. They’re a prominent part of the urban landscape, but it didn’t seem like many people gave much thought to women’s fondness for manicured nails or when it started. 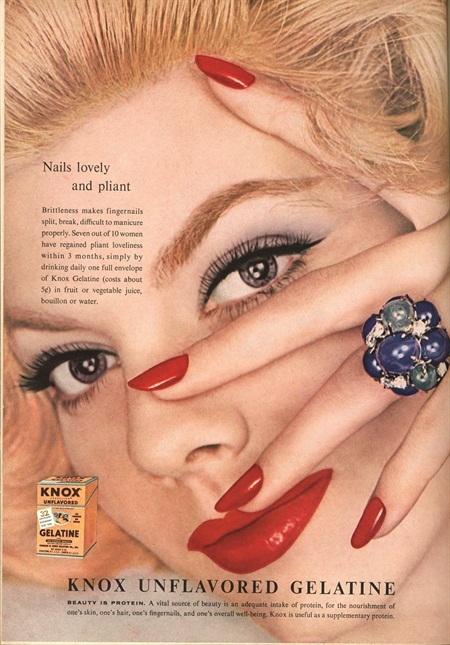 When I began researching the history of the manicure, I came to really appreciate how nail fashions have adapted to changing ideals of femininity. Suddenly, my own habits over the years seemed significant. For example, I was just one of many teens who sported Revlon’s Vixen in the ’90s for its edgy appeal. And wearing it chipped — even better. In doing your research, what did you learn that most surprised you? Shapiro: So many things! 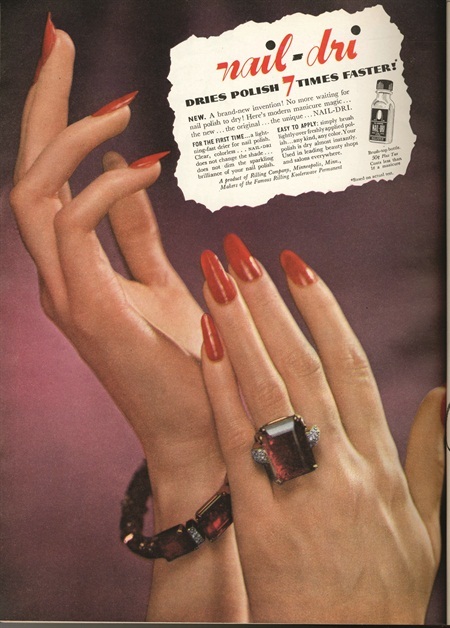 I was surprised to learn that unusual nail colors like onyx and jade green were available in the 1930s; in these early years of nail polish, the most daring, fashionable women coordinated nail color with clothing and accessories, much like today. I’ve found pictures of pierced nails from 1900 and photo-decoupage nail art from 1912. 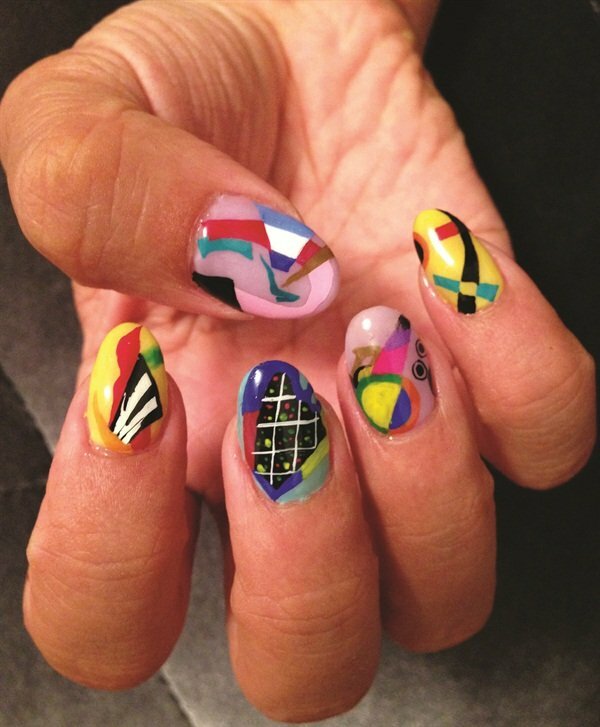 Creative personalities have always looked for unique ways to adorn their nails. What did you learn that most impressed you? Shapiro: I’ve been so impressed by the determination and entrepreneurial spirit of manicurists over the years. From the first American manicurist in the 19th century to today’s nail techs and artists, it’s been a field where many enterprising women and men have achieved independence and built inspirational careers. Also, I think it’s amazing how women have maintained their manicured nails through times of hardship, including war and economic collapse. As a cheap and easy pick-me-up, nail polish can’t be beat. Shapiro: Last year, I revamped my nail-care regimen and can finally grow long, natural nails. I’ve been taking a break from elaborate nail art (which I adore) and have been wearing them almond-shaped and solidly painted in red or pearl white. My hands kind of look like my mom’s in the 1980s; as they say, everything old is new again. Editor’s Note: The Story of the Modern Manicure can be found at many major booksellers, including Barnes and Noble, and a variety of independent bookstores. It can also be found on Amazon.com.